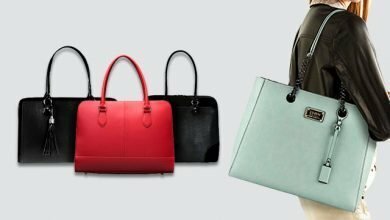 Massive purses – every time talking about it, I always remember to the scenario of a mess at its bottom that leave us diving for minutes just for one thing. That’s why in those days when we can cut down our gears, let’s go for a crossbody bag. 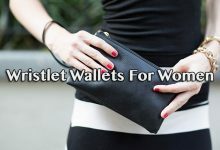 However, a new struggle is that to find out the best crossbody bags for women is surprisingly difficult, which might take you hours to make the search. Here, we have rounded up 14 options on the market that will surely help you find out the perfect one. 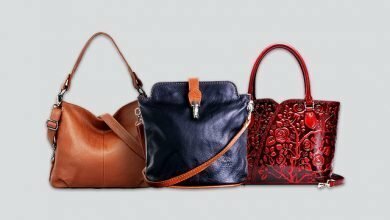 Starting with these best crossbody bags for women from Isabelle! It figures a simple outer performance that focuses more on the functionality than aesthetics. 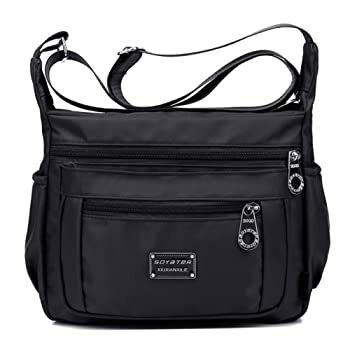 Despite its modest size, which is 7″ (L) x 8″ (H) x 0.5″ (D), the bag is really well-organized with two outer zippered pockets, 2 inner compartments with one zippered and one open. 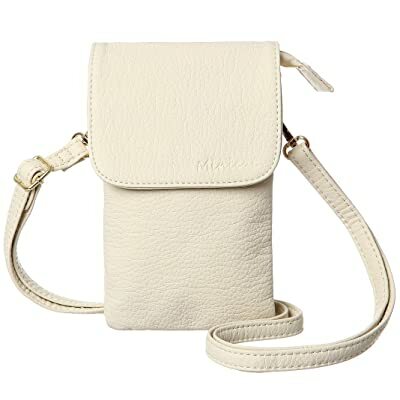 The crossbody strap is detachable and adjustable to 24″ drop. With that construction, I think this black crossbody bag will manage your stuff neatly. 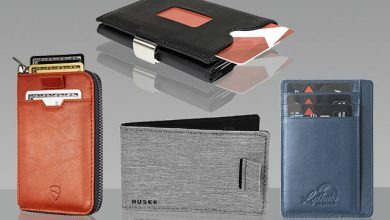 With the main compartment, it fits up a smart phone, purses, notebooks whereas with the additional ones, you can store anything like keys, cards, pen, make-up, etc. I like the thick inner lining for better protection against friction of my stuff to the material. The bag looks very sturdy and durable due to the strong stitching, well lining, and high-quality zipper. If you are curious, the hardware is gold tone, but as mine is a black bag, so that they combine perfectly together. By the way, in terms of colorway, apart from black, there are a lot more of other beautiful tones such as the silver foil, mustard and red. To that end, I believe that you can definitely pick up your favorite from it. There is just one thing you should bear on mind is that as this is a slim crossbody bag, when loading up, it will get fatter. If you are on the go and just want to carry the most essentials alongside, for examples your wallet, smart phone, keys and something like that, consider this crossbody bag from Minicat. Literally, this is a phone holder purse so that it is measured exactly to fit many kinds of cellphone such as Apple iPhone 7, 7 plus, 6S, 6S plus, 6, 6 plus, 5S, 5C, note 4, Note 3, Samsung Galaxy Note 5, Galaxy S3, S4, S5, S6, S7, S8 and others. Besides, this bag still has space for other stuff like card, keys, passport, headphone, make-up, cash, etc. Talking about the material, it is faux leather. But don’t worry, it’s really high-quality based on soft texture and comfortable feeling touch. The best feature on this crossbody bag is its fuzz material lined inside to prevent friction of your cellphone to the bag, which helps to minimize damages as little as possible. Another good thing is this bag coming up with two designs: the vertical and the horizontal to fit your personal taste. The last compliment to Minicat is their customer service. They listen to our response very carefully as well as reply us quickly. They solve the arising issues very well. Hence, I think you should at least try their product once. 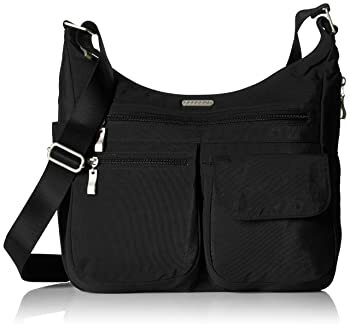 For those who need a daily crossbody bag for outdoor use like camping, hanging out, traveling with no fears of weather, go for this Baggallini bag. It is made from waterproof nylon, plus, in lined with synthetic material so that its ability of weather resistance is truly no joke, even in a cat and dog rain. Besides, it also helps the bag itself become easier maintenance. I mean if it gets dirty, you don’t need to dig everywhere for the suitable cleansing product like the genuine leather, but just a damp cloth and quickly wipe it off. Another advantage of high-quality nylon is superbly lightweight yet durable. This feature will help a lot in carrying heavy loads because it will cut down the weight substantially and your shoulders will thank for this. If you originally don’t look good at nylon items, just think again, ladies! What I really love about this bag is its convenience. There are various pockets from inside out. The outer is secured by zippers, looks very durable and protective. Each compartment is measured exactly to give great storage and organization. It has 1 main compartment on the top, 1 extra open pocket in the back, plus 1 zippered. In the front, there is 1 larger zippered pocket, 1 smaller and a flap. Back to the main compartment, going inside, there is even 1 more zippered additional pocket. Dimensions: 54 x 13.5 x 9 inches. 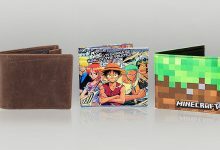 It can fit up a lot of things like books, iPad, long wallet, smart phone, etc. But the special thing is its quick access pocket in the side. I don’t find any bag has such design before so this is really a revolution for me. With this pocket, I can store some more stuff like a small water bottle, umbrella or pens securely (as it is zippered). 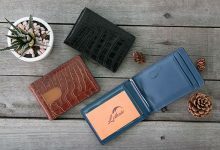 There are more, a removable RFID wristlet and a luggage handle sleeve to optimize the customer experience. For the days that you don’t need any typical fashion bags, but just a simple one, Soyater is a perfect choice. Eyes on it, you will find out many pretty colors to select. They aren’t something too typical or too primary, but very unique and one of a kind (I swear!). I will go firstly to its measurements because this is my favorite feature, 7.5 x 4.3 x 10.2 inches. It’s a great size, not too big to feel bulky when carrying alongside, but not too small to struggle myself what to carry, what don’t. It fits up a sea of stuff. Not saying that this bag comes up with many pockets from outside in for surprising organization. Let’s see! There are three zippered pockets in the front going from small to medium large size, a side open pouch where I can store my water bottle or umbrella, a medium-large sized behind pocket, a major compartment secured by a sturdy zipper including two other zippered pockets and two more pouches. It’s amazing, right? Its capacity is no joke despite its medium large sized bag. The strap is quite long but, luckily, it’s adjustable to fit you the best and you can wear it in different ways: either as a crossbody bag or a shoulder bag based on your preference. If you have already read my article about “Best fashion backpacks for women”, you will see that this Vera crossbody bag comes in a floral-motif set with its backpack, very beautiful and one of a kind. As it is made from high-quality cotton with soft yet durable texture, this bag is machine washable and easy maintenance. Don’t worry about the print would get faded or pilled out after wash as the interior linings on these best crossbody bags for women are a solid complimentary color to outside print. Just feel ease in mind to throw it into your washing machine. Measured by 8 x 5.75 x 2.25 inches, this cute crossbody bag can accommodate neatly your phone, mini purse, and things like that. Though it doesn’t come up with as many pockets as the Soyater or Baggallini, the bag still offers moderate organization to avoid you from scrambling for one thing for minutes. Besides, its strap is adjustable up to 56 inches, offering two different carrying ways to keep your hands free. One more compliment for its zipper is its superb high-quality and run quite smoothly enough to just use one hand to open the compartment without any difficulties. Though the material is soft, the whole form of the bag is still sturdy and firm to stand itself very well. Even after washed and dried, it still keeps its shape like the original. 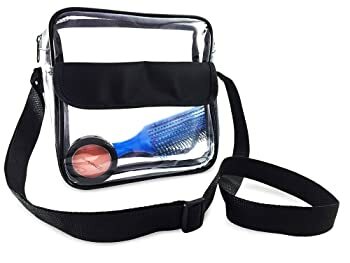 If you are an active girl who love joining many outdoor activities or watching sports, then a clear bag will be the best choice ever to cut off many troubles such as regulations require clear bags for ultimate management. But when it comes to clear bags, what is your most worry? Is it too easy to fall apart after a while using? If so, then just let this Nova Sport Wear ease your mind. It’s made from the finest material with moderate thickness and great wear resistant ability to keep the bag longevity as long as possible. Not saying that it is well-stitched, if you take a closer look, from the bag linings to the flip and even the strap. As this is a simple bag to attend such occasions like NFL football games, parks, casinos, and college stadiums, it comes off a small-medium size, 8″W x 8″H x 3″D. Hence, though it only has two compartments, I don’t find it hard to get my hand into the bag to find something I want. It’s small, but not too small to store nothing. 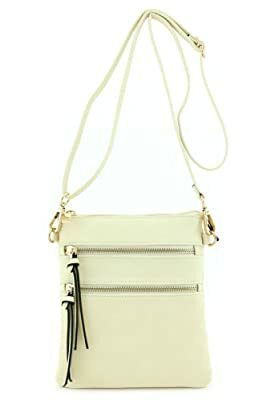 This crossbody bag for girls can fit up your phone, make-up, mini purse and things like that. The strap is 32 inches long, but it is adjustable to fit your length the best. You can wear it as a shoulder bag or a double handheld bag due to your personal desire. But here is where the real fun begins, it’s waterproof and really super easy to maintain. Even during a cat and dog rain, your belongings are always safe. And when the bag gets dirty, just use a damp cloth to wipe it down. Trust me, everything will look like new. I appreciate the genuine leather material of this Ainimoer Crossbody bag. While the others choose to use soft faux leather to cut off the cost, this product is a brave investment of Ainimoer, but it’s worth! 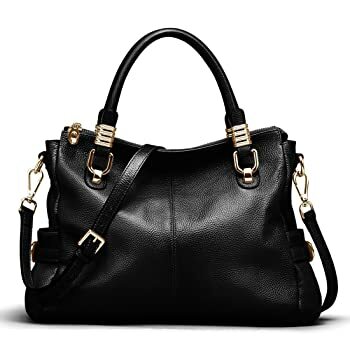 Made entirely from the finest imported vintage soft Top Grain Leather which is one of the most expensive and luxury material in handbag industry, its beauty is something that not only you can see, but also through touching and smelling. A distinct smell of real leather right after you open it. Some people might get unpleasant with this “odor”, but I feel glad because this is a signal of real leather. The texture is very soft, smooth and comfortable. But the special feature here is that it’s waterproof. Yes, unlike most common leather items which can’t stand moisture or water, this bag has been through some treatment to leave the surface an oil layer for water resistance. Besides, based on the high-quality material, it enables to wear resistant as well. As this is a handmade bag by professional artisans, if taking a closer look, you will see that its stitching is very detailed and sturdily constructed plus the smooth dark brown polyester lining. One more thing, the bottom, there are four textured metal rivets. See? It’s durable and protective. Even the hardware is very luxury. They are heavy, hard and firm to give a total different experience. I like it! If you are wondering about its capacity, I can assert this large bag can fit up your world. Measured by 14.8 x 5.1 x 10.2 inches, feature 2 big compartments, 2 open pockets, 2 inner zippered pockets and 1 zippered in the back. With it, you can put up an iPad, some books, phone, cards, umbrella, lipsticks, sunglasses, etc. There are two handles and one adjustable long strap so you can carry this bag in three ways: the crossbody, the shoulder and the handheld. Besides, 10 color options. So, just rock it! If you don’t like gold tone hardware like the Ainimoer, but the silver tone, change into this Heshe. It is another option for those who are seeking a luxury real leather crossbody bag. This Heshe is made from top layer cowhide leather which is not inferior in terms of the luxury level. Apart from the soft, comfortable feeling touch and expensive look, this beautiful bag also hooks my eyes because of its colorway. There actually are 5 tones but, lately Heshe has updated a sorrel new with a striking vintage, classic and luxury look. I am addicted to it! 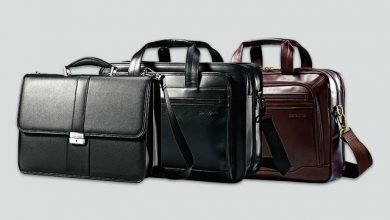 Though this bag ends up with smaller size than the Ainimoer, its interior still manages neatly with two major compartments that can put up any 14-inch laptop, an iPad or A4 files, one zippered pocket for wallet, cash or cards, one open slot fitting an iPhone 7 or same things like that. I like the inner additional fabric to keep the bag against friction of our belongings. Not saying that every stitching is well-made to offer the highest durability. 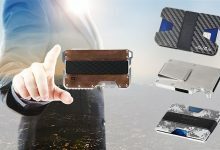 Another good thing is its hardware, very high quality, from the silver zipper closure to the metal buckles, or even the removable strap. When wearing this bag on, you can feel a certain safety. Based on its outer performance, two 6.29in handles and 51.57inch adjustable strap, you can carry this bag as a tote, a shoulder bag or a crossbody as preference. 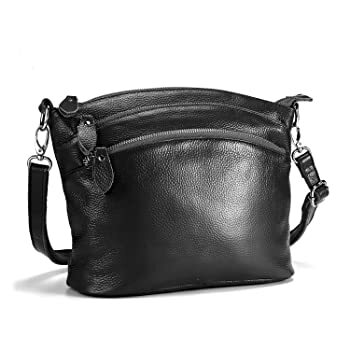 This Lecxci comes to my life very naturally when I searched for a small-medium sized genuine leather crossbody bag for my daily carry and outdoor work. It’s an incredible bag that fits all my needs. I’m usually brutal to zippered bags so that high-quality robust zipper should be a priority. And luckily, this Lecxci satisfies it. Its zipper is no joke, even you can “feel” its quality through the sound it is drawing. Next is the number of compartments. There are two common issues when it comes to bags, there are either too many to look prolix or too little for organize. But this just comes up with the right number of compartments for my demands like cosmetics, cellphone, wallet, keys, checkbook, event tix and to-do list. Let me describe it for you to easily imagine, there are 3 major zipped pockets, 2 side pouches, 1 hidden zipper pocket and 1 outside rear pocket. Perfect, right? Its dimensions are 11.4 x 8.6 x 3.7 inches and there comes a long adjustable strap so that you can fix it to be a crossbody bag or shoulder bag due to your preference. If you want a classy and simple bag for evening events, go for this product. If you want a bag with super durable material, again, go for it. 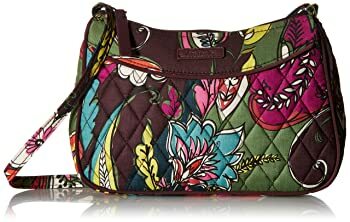 I can assert that this crossbody bag for teen girls fits the bill by its great working. This might be the most expensive crossbody bag in this collection, but I swear that it is worth every penny. In terms of Fossil, might I not need to talk more about it, right? 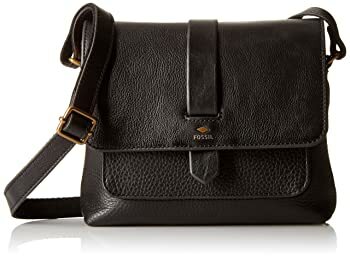 In fashion accessory industry, Fossil is like the senior with its fame for high quality material and very durable products. This is actually not an exception. Look at it! A luxury classy bag that can easily hook your eyes by its striking beauty from the distinct soft and smooth texture of high-quality leather. 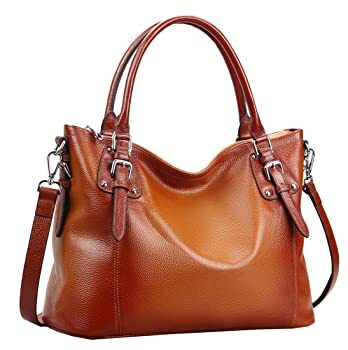 Actually, this bag uses mix-texture leather, while the top flap comes up with smooth finish, its base is much softer. For sure, this bag won’t disappoint your expectation. Besides, its high end is also presented through its inner material – 100% cotton for striking softness and wear resistance. By the way, the interior includes 1 major zippered compartment and 1 media pocket. And as it is a small-to-medium sized bag, only 8×8.5 inches, you won’t find this simple construction will be a con. The design of this Fossil is moderate, elegant, stylish and expensive to fit nicely both casual and formal events. The quality is asserted by the manufacturer to be built to last. And there is also a money back warranty so that I don’t think you should refuse it. 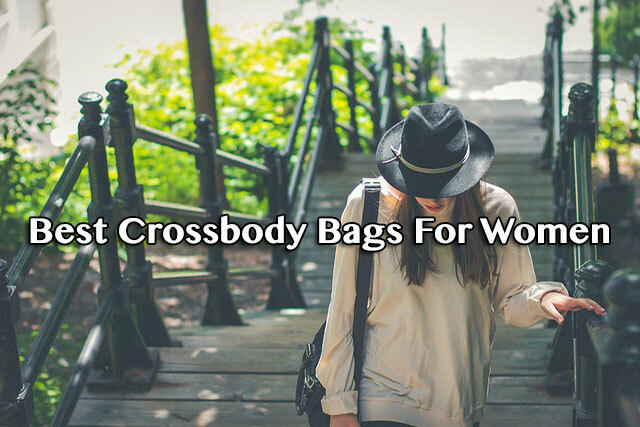 As the demands in crossbody bags is diverse, so do the preference, which is why I have rounded up and select various kinds of product to ensure at least one will satisfy you. 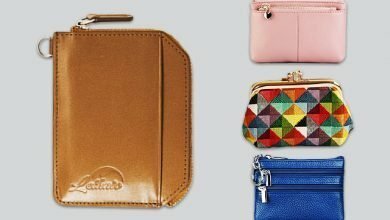 My 10 best crossbody bags for women go from the most beautiful to the most functionality, from the affordable price to the luxury, from small, medium to large. Hence, after getting eyes on this collection, have you found your best one yet? Just let me know!